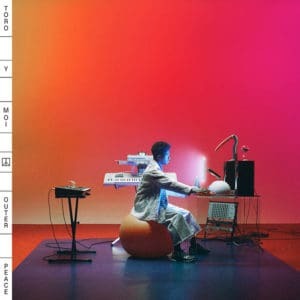 Toro Y Moi, otherwise known as South Carolina-based musician Chaz Bear, has produced a new and exhilarating album for his growing fanbase. The album titled Outer Peace produces the dreamy and energetic sounds of Bear’s inner reflections of the universe while using upbeat funk grooves and spacious undertones intertwined with his heavy auto-tuned lyricism. In other words, Chaz Bear has changed perspective from his previously ominous album, Boo Boo, to a newly optimistic and cheerful tone that has his listeners dancing for more. The album is introduced with the song, Fading, which he focuses on his dwindling feelings towards a certain someone. And, this apparent change of feeling is approached with a very positive and ecstatic attitude through his use of techno and house influences. He then goes on to songs like Laws of the Universe which also has an active and enthusiastic beat while focusing on some sort of existentialism that Bear has been pondering about in regards to how the universe works. Bear ends the album with the song, 50-50 which features Instupendo. While the song is especially slow and emotional by using auto-tuned voices and deep basslines, Bear reminds himself on who is he as an artist and reflects on the love of his passion for music. Outer Peace is a gentle and dreamy realization of how much music has advanced with technology in an ever-changing universe. Bear’s introspection and questioning on his fame is revealed in his new album while maintaining to ponder about his inclinations in a positive light. Though his perspective may be shifting, his newfound optimism has been manifested and projected into Outer Peace. previous post: DJ Fizzi Pop Interviews CRAY!